There are tens of thousands of movies produced and released each year. The movies cover a wide range of genres from thriller to musical to animation. With so many great movies released over the years, it is impossible to create a definite list of the all-time greatest films. For the purpose of initiating a conversation on this topic, we decide to present our humble list of the best movies -- one from each of the five major genres or categories. Feel free to challenge our picks. 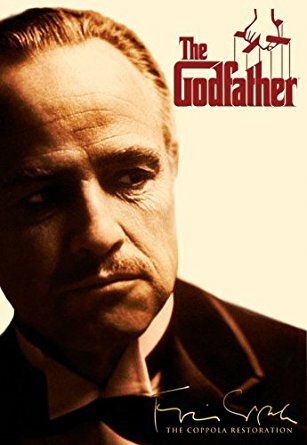 There is a reason why the original Godfather has spawned several sequels and inspired countless TV shows and movies about gangsters. The Godfather has become synonymous with the crime and thriller genre. If you asked any movie watcher from any country to name a crime movie, this film will likely be her first choice. Based on a novel of the same name, the 1972 film depicts the fierce struggles for power between the five mafia families in New York. Unlike prior gangster movies which focused on an outsider's perspective, the Godfather provided an insider's perspective. The movie was purportedly praised by real-life gangsters for its accurate portrayal of the mafia. Marlon Brando delivered his finest performance in the title role, which earned him an Oscar award for Best Actor. Other cast members such as Al Pacino and Robert Duvall became household names. The Godfather won three Oscar awards including Best Picture and was the 1972 highest grossing film. Adapted from a novel by Margaret Mitchell, Gone with the Wind is among the greatest movies of all time. The 1939 film follows the life of Scarlett O'Hara, the eccentric daughter of a wealthy plantation owner, and her various romantic pursuits. The kiss scene between O'Hara (played by Vivien Leigh) and Rhett Butler (played Clark Gable) is one of the most iconic images in cinematic history. The elaborate production dominated the 1939 Oscars winning eight major categories including Best Picture, Best Director, Best Actress, Best Adapted Screenplay and Best Art Direction. The Lion King was released in 1994 to great reception. The Disney animated feature was estimated to have earned over $700 million in box office receipts worldwide during its original run. The film was re-issued 17 years later, earning over $150 million in its second major theatrical run. Since there are few movies that even earn $150 million in box office, this is an astounding achievement and a strong testament to the movie's quality. The scene where Rafiki holds a young Simba up before an assembly of animals is an artistic marvel. The animation in the Lion King is masterful and puts it in the same class of Hayao Miyazaki's movies. And did I mention the music? The music and songs in the Lion King are wonderful and memorable, though the same thing could be said for all of Disney's masterpieces. There are many fine movies in this category, but Lawrence of Arabia stands alone as the most influential film in this genre. The 1962 historical drama is based on the life of T.E. Lawrence. Thomas Edward Lawrence was a real-life British military officer and diplomat who played a key role in Middle Eastern affairs during World War I. The movie follows the events depicted in his autobiography titled The Seven Pillars of Wisdom. The film was a 4-hour grand adventure of unprecedented proportions. Even till now, not many movies could match the film's epic scope, beautiful cinematography, masterful score and screenplay. Numerous acclaimed directors have cited Lawrence of Arabia as the inspiration for their visual style and direction. Despite the film being mostly a British production, it was selected for preservation in the US National Film Registry. The first time I watched the Sound of Music was at my elementary school. The second time I watched the movie was at my middle school. The third time I watched the movie was in my high school's choir class. And as you could have guessed it, I also watched the movie in my college music course. The Sound of Music is a musical masterpiece that can be enjoyed by people of all ages. Stage and singing diva Julie Andrews delivered an unforgettable performance as the Von Trapp's nanny. Andrews' singing is legendary, but her musical performance in the Sound of Music was truly something else. Who could forget songs like Do-Re-Mi, My Favorite Things, The Hills Are Alive and Climb Ev'ry Mountain? Who could forget the super cute performances of the Von Trapp's trope? One of my music instructors even claimed that she got into music after watching the movie.